The Measurement Instrument Databank for the Social Sciences is an open access repository of shareable assessment instruments used to collect data from across the social sciences. It currently contains in excess of 530 instruments, and researchers worldwide have submitted their measurement instruments to the database. The ambition is that it will become the go-to repository of shareable assessment instruments across the social sciences, and that it is the first place that researchers consult when looking for measurement tools to conduct their own research. MIDSS contains measurement instruments that have been used in peer reviewed journal papers and technical reports. In providing an open access repository, it reduces duplication of research effort and increases the likelihood that proven measurement instruments will be used by others in future. It also increases author impact by making primary data collecting tools available to others. This leads to increased citations for instruments used. That benefits individual researchers and strengthens the rigor of data collection and analysis across business and the social sciences. 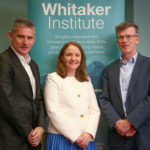 The development of MIDSS is supported through funding by the Irish Social Sciences Platform, funded under the Programme for Research in Third Level Institutions, administered by the HEA and co-funded under the European Regional Development Fund. It serves as a repository for tests and measures that have been described in journals, dissertations, technical reports, and books. It enables researchers to trace the lineage of tests and measures over time. It significantly reduces incidence of researchers and students making up tests (and duplicating work that has already been done) when they cannot find one that suits their research. It supports the improvement of tests and measures. It increases the impact of authors’ works by making the primary data collecting tools available to others and this will lead to a secondary effect of increased citations for instruments that are used.